The textural quality of this eastern native's stems and foliage is superb. During winter, a circle o..
One of the queens of eastern North America's deciduous forests, basswood has large heart-like leaves..
American holly is an elegant evergreen tree that's ideal for home landscapes. Its dense branching, p..
From spring to summer, this annual produces multiple flower spikes with tiny flowers enclosed in sho..
Acacia baileyana or Cootamundra wattle, is a shrub or tree in the genus Acacia. The scientific name .. Approximately 80 seeds in 0,05g packet.Impatiens is the most popular annual bedding plant in the U. 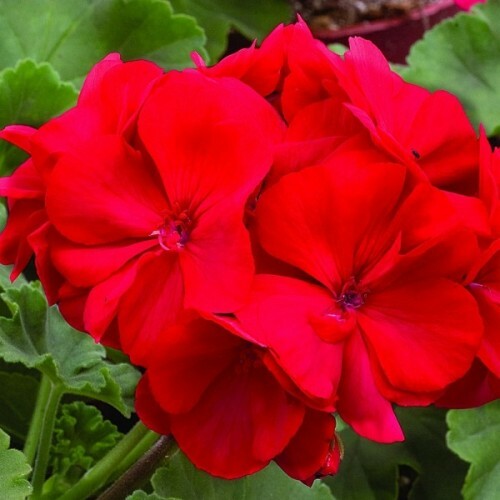 ..
A summer bedding and container favourite, providing masses of flowers throughout the summer, in an e.. BASIL AROMA 2 F1 - Delightfully aromatic, glossy leaves with a traditional sweet flavour.Plants are ..
A dwarf, small leaved basil with lots of flavour.The traditional ingredient in pizzas, but just as d..
Sweet basil is commonly grown as an aromatic culinary and medicinal herb in warm temperate and tropi..
Gilias are delightful, unusual, richly flowering plants that need a lot of sun and warm soil.Pre.. Famous as an everlasting flower, statice or sea lavender is most often grown by flower designers..
One of the best perennials for using as a cut flower, especially for drying. This forms a low mo.. It is mostly grown as a cool weather annual. It is noted for its colorful, clove-scented flowers..